With all the hostels and budget hotels in Little India, Hilton Garden Inn sticks out like a sore thumb. In a good way. 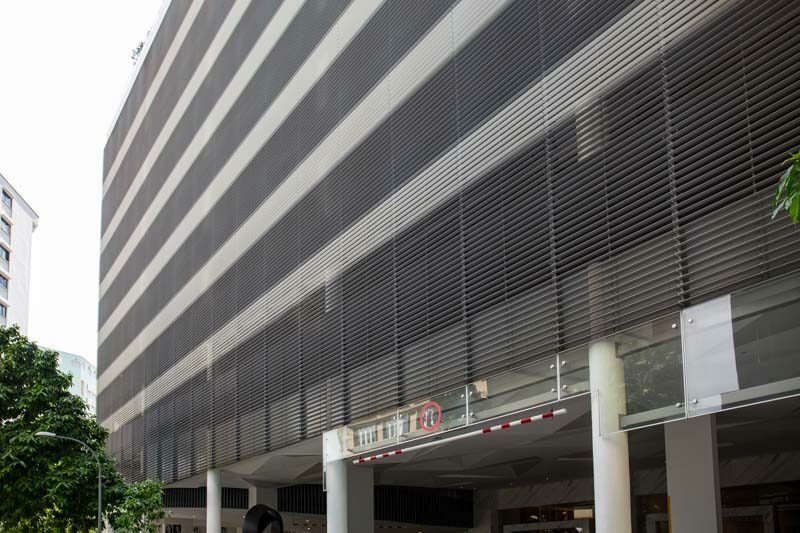 The hotel is just a short six-minute walk from Little India MRT, which is on the peripherals of town really, and an extremely convenient location for commuters to the shopping district and CBD of Singapore. Hilton Garden Inn guests enjoy the same innovative digital check-in and digital key services as all Hilton guests worldwide, whereby patrons can check-in and choose their room via the Hilton mobile app. One can even use their smartphone as a room key – all without queuing for ages at the reception. 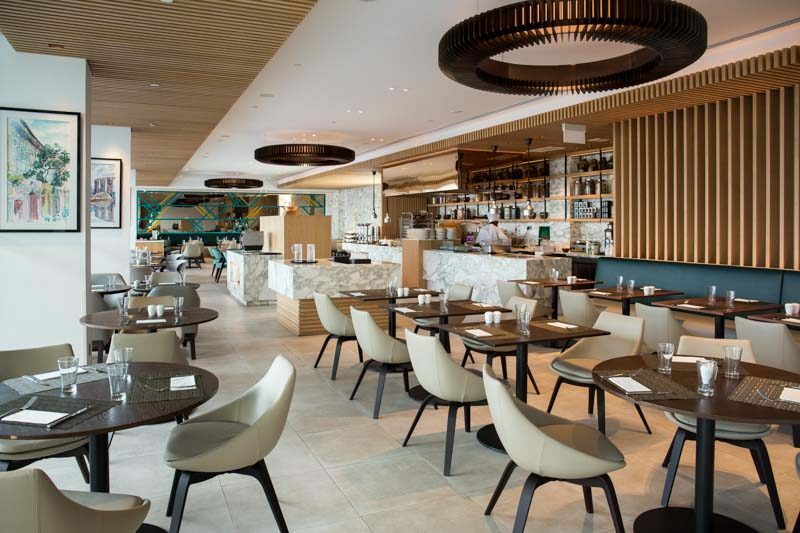 Guests can dine at The Garden Grille, which is the hotel’s standard casual restaurant and where you have breakfast. 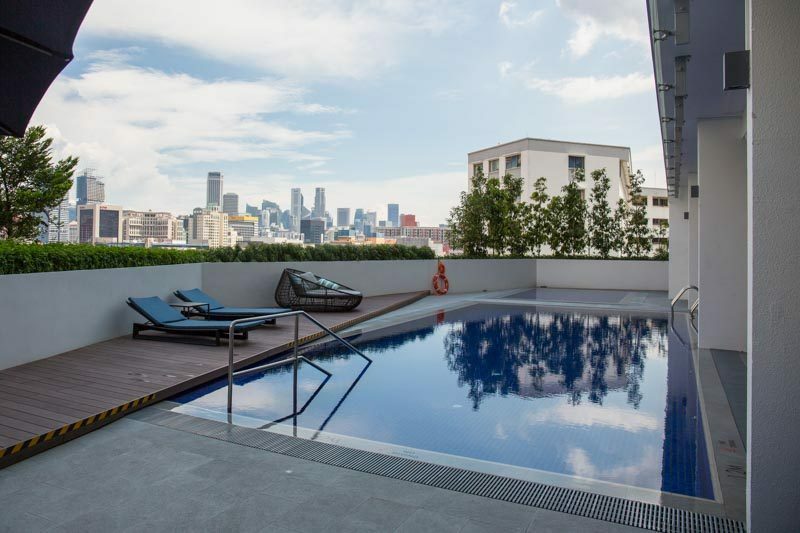 There’s also an outdoor pool right outside that overlooks the city if you want to have coffee with a view. 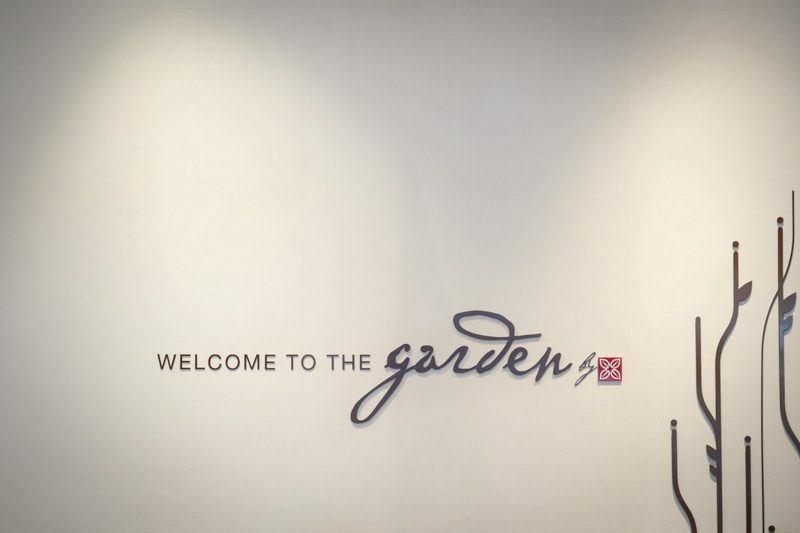 One unique thing about Hilton Garden Inn is its 24-hours Pavilion Pantry at the lobby, which functions like a mama shop for getting snacks, drinks and ready-to-eat meals any time the munchies strike. 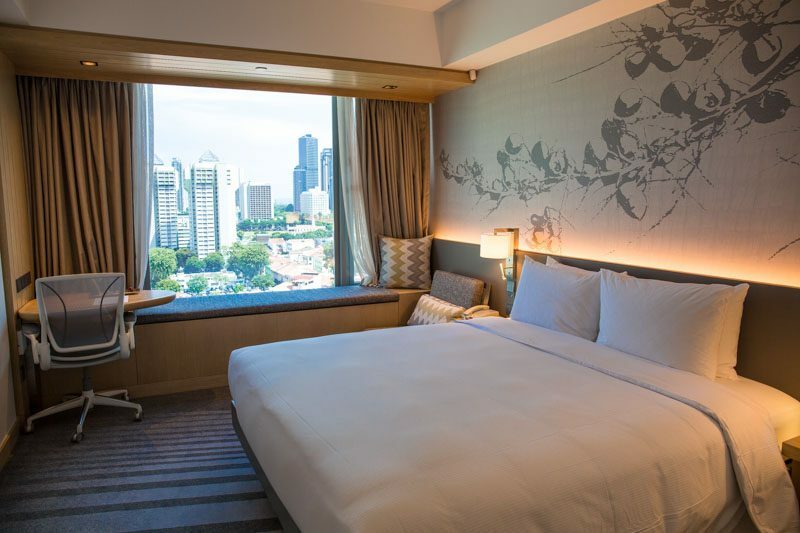 I got put up at the King Deluxe Room with a city view for a couple of days and here’s what I think. This pastel-coloured room is a cosy fit at 21 sqm, overseeing colonial shop houses and skyscrappers in the city. There’s a little working desk and seating area by the bay window for when you want to look out afar when the emo feel hits. I have to say the Suite Dreams Serta bed was comfy indeed, knocking me out as fast as a chloroformed handkerchief in the movies. 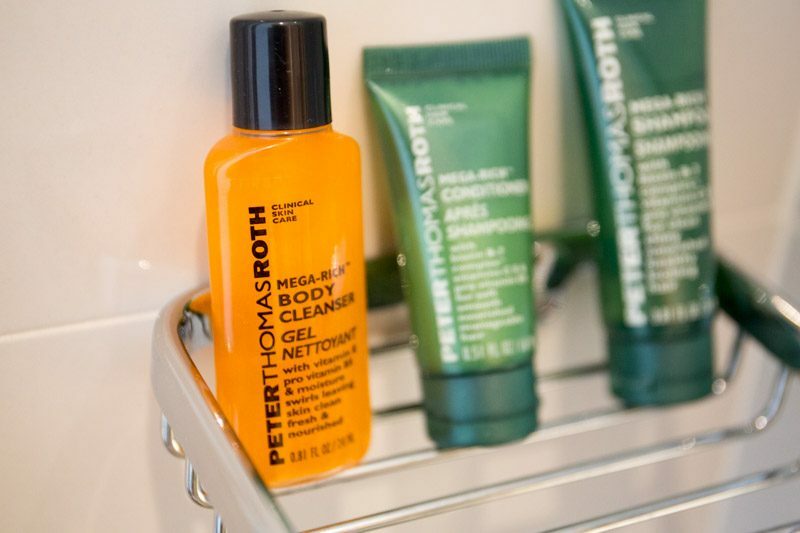 One thing I am always impressed by the Hilton group’s shower amenities is the Peter Thomas Roth bathing products, which I may or may not have smuggled a few home. The usual amenities one would expect from this standard of hotel (it’s basically a 4-star) like mini-fridge, air-conditioning, coffee/tea maker, iron/ironing board and free WIFI, are all here. I can’t imagine a hotel without free WIFI in Singapore. Voila. The city view from the room with a city view. 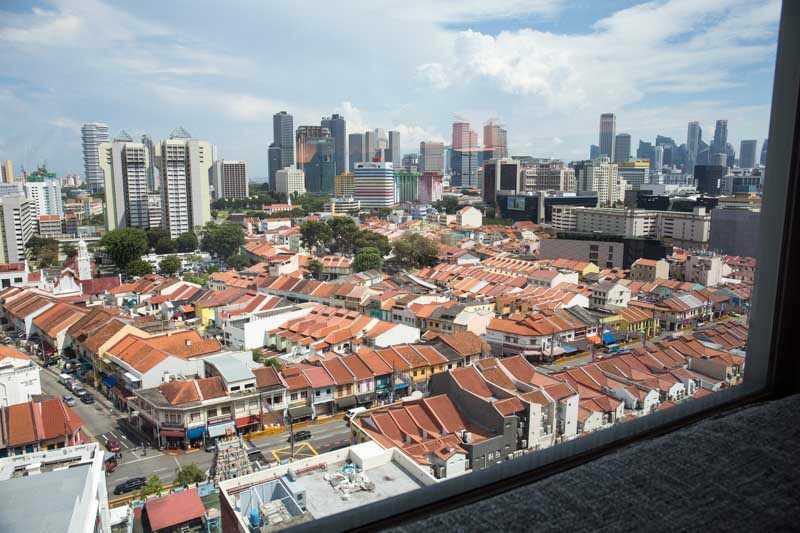 You can actually see the border where low-rise shophouses start transitioning to tall urban monoliths. 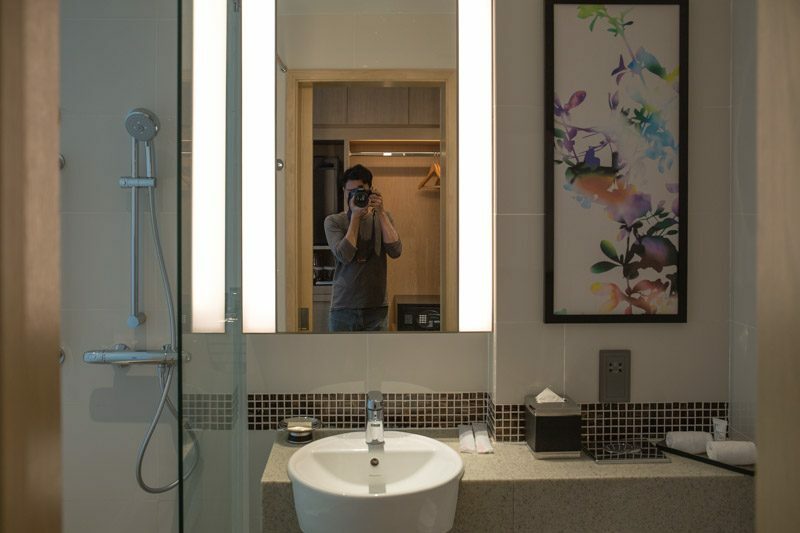 With two buildings and 328 rooms, this casual hotel in Serangoon is well, pretty casual. There’s a little for everybody and more for the price-conscious without compromising on Hilton’s service-focused brand. The location is great if you intend to explore Singapore from a central spot and soak in the long standing culture of Little India. Not a strikingly mind-blowing stay, but Hilton Garden Inn is a safe bet.